We’d love your help. Let us know what’s wrong with this preview of The Revolutionist by Robert M. Tucker. Their journey brings Two different families escape from the political tyranny of their respective homelands, the Josephsons from Sweden and Matias and Kurt Bauman, brothers from Germany and Austria Hungary, with the aid of a Viennese opera diva, Sophie Augusta Rose, and Jean Guenoc, a former Jesuit priest, family friend and protector and partisan of the French underground. To ask other readers questions about The Revolutionist, please sign up. The Revolutionist is a great piece historical fiction. I was captivated with it right from the start. The author obviously did his research before writing this book. I was fascinated with the details and setting. Once I picked it up, I did not want to put it down until I was done reading the whole book. It is full of suspense, adventure, action, mystery and intrigue. 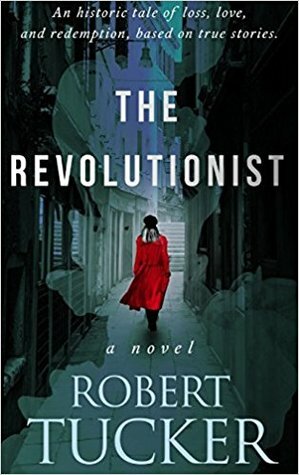 I give The Revolutionist a well deserved 5 stars and hope to read more by this author in the future. I received this book from the The Revolutionist is a great piece historical fiction. I was captivated with it right from the start. The author obviously did his research before writing this book. I was fascinated with the details and setting. Once I picked it up, I did not want to put it down until I was done reading the whole book. It is full of suspense, adventure, action, mystery and intrigue. Set in the early 20th century, this is a story of loss, love and redemption that is based on true stories. The Josephson family, recent immigrants from Sweden, have a dairy farm in Minnesota. The parents, Olaf and Ingrid, were part of the social democratic, or socialist, movement in Europe. The right-wing Prussian government would like to wipe socialism off the map, which is why the Josephson's are in America. The parents are visited by Luther, a bounty hunter sent by Prussia. He really wants a l Set in the early 20th century, this is a story of loss, love and redemption that is based on true stories. The Josephson family, recent immigrants from Sweden, have a dairy farm in Minnesota. The parents, Olaf and Ingrid, were part of the social democratic, or socialist, movement in Europe. The right-wing Prussian government would like to wipe socialism off the map, which is why the Josephson's are in America. The parents are visited by Luther, a bounty hunter sent by Prussia. He really wants a list of social democrat members that the Josephson's supposedly have. The parents are killed by Luther's shotgun, forcing their teenage children. Julie and Newt, to flee to a lumber camp up north. Along with a couple of friends who got involved, Julie and Newt survive for almost a year in the lumber camp (Julie does her best to impersonate a boy). The make the acquaintance of Matias Bauman, who knew the Josephson parents, and was forced to leave Europe for similar reasons. He takes the group to his mansion in Chicago. The labor and socialism unrest in Chicago is growing, along with the horrible treatment of workers by the employers. Julie's "job" is to hand out socialist pamphlets on the street, while Newt is something of a rising star in Bauman Enterprises. Luther has not forgotten about the Josephson children. He is nearby, just waiting for a chance to kill everyone involved. Does he succeed? Who is still alive at the end? The blast from the shotgun decimated his face leaving behind a gory mess of brains and blood. That’s how Luther Baggot, a bounty hunter assassin, slays his victims. Baggot is after a list containing the names of influential social democrats who fled Bismarck’s tyrannical regime. Two of these families are the Josephsons from Sweden and the Wohlman brothers from Germany, both of whom took refuge in America. The Josephsons settle on a farm in Minnesota, and the Wohlman brothers establish a successful business in Chicago. Unfortunately, Baggot tracks down the Josephsons and kills Olaf and Ingrid Josephson. Consequently, the Josephson children, Newt and Julie, along with their friends Aaron and Beth are forced to flee. They hide in a logging camp up north and ultimately land in St. Cloud. There they meet Matias Bauman alias Heinrich Wohlman, a former friend of the Josephsons. He takes them to Chicago, an unfamiliar world to them, where they are plunged headlong into the bedlam of urban politics and the violence of their past. The Revolutionist by Robert Tucker is a well-researched, gripping work of historical fiction. Tucker weaves an intricate tale of political intrigue, violence, hope, and redemption. Supported by a large cast of characters including J.P. Morgan, it delivers an entertaining, immersive story with eloquent descriptions of America at the cusp of the Industrial Revolution. In The Revolutionist, Tucker has sketched a bare-knuckle portrait of twentieth-century America revealing its seedy underbelly along with its prosperity. Thanks to Tucker, I got a glimpse of America teeming with immigrants from all over the world who became a part of her history. This novel also shows humanity at its worst and its best. It shows how the avarice of a few powerful men breaks the spirits of thousands of hard-working men and women, and how despite all odds, the resilient human spirit always survives. Moreover, Tucker brilliantly interlaces the coming-of-age story of Julie within this historical fiction. Her metamorphosis from a frightened child to a determined girl seeking revenge transpires quietly which provides a satisfying dénouement to this 600-page tome. This could have been a masterpiece if not for an inconsistency. Without revealing any spoilers, I can only say Baggot attacks one of the Wohlman brothers. How is it possible when hidden bodyguards were supposedly protecting them? Further, I felt the inclusion of some characters was unnecessary and hence, dragged the story a bit. I am glad I forayed into the genre of historical fiction with The Revolutionist. It is recommended for fans of historical fiction and for those seeking a great story. It is not a rip-roaring read but is not slow-paced either hence, adrenaline junkies may not like it. When an author takes on the challenge of writing Historical fiction, the biggest hurdle the author faces is getting the details down as accurately as possible. Not every writer of historical fiction can be a Herman Wouk, or a John Jakes, or a Hilary Mantel. Or even a Dan Brown. It's always a case of "the devil is in the details". Fortunately, in his work The Revolutionist, Robert Tucker gets the details of the times right. For reasons that belong elsewhere, I read The Revolutionist a total of 5 When an author takes on the challenge of writing Historical fiction, the biggest hurdle the author faces is getting the details down as accurately as possible. Not every writer of historical fiction can be a Herman Wouk, or a John Jakes, or a Hilary Mantel. Or even a Dan Brown. It's always a case of "the devil is in the details". Fortunately, in his work The Revolutionist, Robert Tucker gets the details of the times right. For reasons that belong elsewhere, I read The Revolutionist a total of 5 times in a very short period of time. There was not a single section of the book in which I felt cheated or conned by cheap plastic writing. There are a lot of characters making up the cast of The Revolutionist, and not once did I get a sense I was reading about "Cardboard Stock Character from the Central Casting for Historical Novels". Every character had a legitimate reason for being on the page. 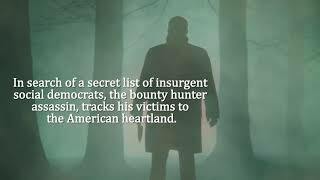 Every character, whether they lived in Germany in the 1800's, or the Minnesota Plains in the late 1800's, to the dangerous life in a lumber camp, or in Chicago in the early 1900's, had a reason to be there, and reasons for their actions. The "bad guys" weren't bad just to be bad, in the same way that the "good guys" weren't good just to be good. There were life experiences that rationalized their decisions and their roles in society. And that's where Robert really succeeded. His characters relations between themselves, and with their times was real. It was as though you were watching a movie, rather than reading a novel. From secret police to dead horses, everything was alive. You felt empathy and sympathy for everyone as they tried to stay alive and live their lives in their times. Robert Tucker is an author of immense talent. He's an author to look for when you really need a good read. The author of four previous earlier novels, Robert infuses his books wit Author of the newly released historical novels, THE REVOLUTIONIST and its sequel, BURTON BLAKE, Robert Tucker publishes under a multi-book publishing contract with Tell-Tale Publishing Group LLC and its affiliate Wise Words Publishing Group LLC.